The Swiss Chalet style home sits on nearly one acre of prime, flat Hiwan real estate. The location canât be beat. Close to highly rated Evergreen schools, Bergen shops and walking distance to Hiwan Country Club and Elk Meadow trails. I-70 access is a breeze. A few minutes drive to Evergreen lake and the historic downtown. The interior was completely redone and is filled with amazing natural light. Some notable features include vaulted ceilings, hardwood floors, separated and spacious bedrooms and three decks. 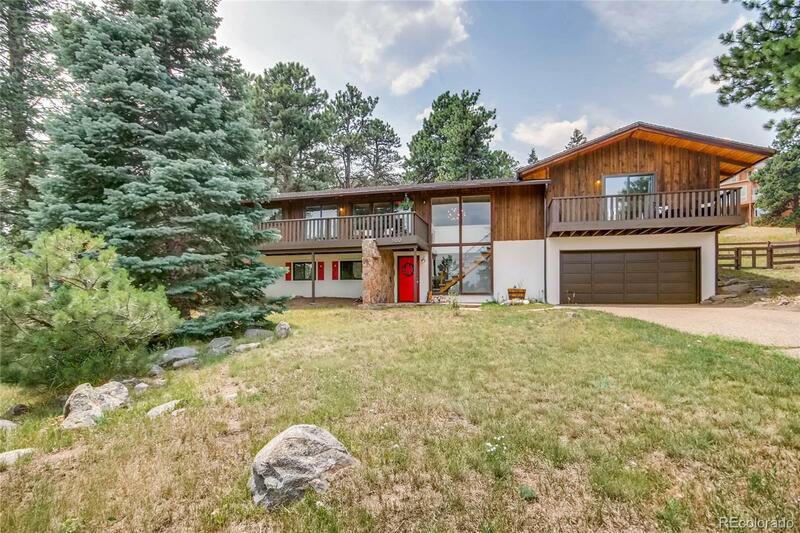 The interior finishes are unlike any Evergreen home in recent memory. Plus the owners upgraded the electrical, the furnace, water heater, put in Pella windows and sliding doors and put in new solid core doors throughout. Nearly every fixture has been replaced (not with big box store stuff). Donât forget the soapstone counters, Bosch dishwasher and cool Saltillo tile and tile accents. And, this is likely the least expensive single family home on the market in Hiwan.